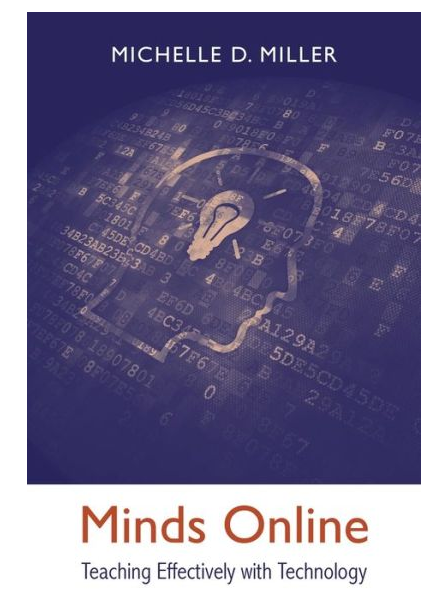 Over the past two weeks, I have been reviewing Michelle Miller‘s new book Minds Online: Teaching Effectively with Technology. This post looks at the last two chapters, on motivation and on putting it all together. Michelle noted that motivational challenges are one of the main differences between online and on campus teaching. “Motivation,” as Michelle noted, comes for the same Latin root as the word “to move” – mechanisms that put you in motion. The study of motivation is closely aligned with the study of emotion. What we (and our students) are motivated to do … or not do … flow from what we feel and what we believe. She noted that all of us in education (and I would say leadership as well) are professional motivators. Many of us are pretty good as motivating people when we gather together. The challenge is inspiring people in a virtual environment. When students are cut off from any of these three, motivation suffers. Michelle noted multiple studies that have found that academic self-efficacy is a good predictor of academic success. Providing videos of “average” students who succeeded boosted self-efficacy, as did presenting grades in informational rather than controlling ways. Wording course materials in ways that suggest autonomy, such as “you might…” or “we suggest…”, as well as tying course materials to student long-term goals, increase motivation. 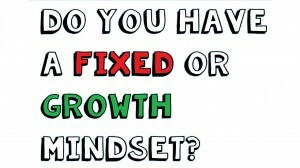 An interesting section discussed motivation issues associated with a “fixed” mindset versus a “growth” mindset . 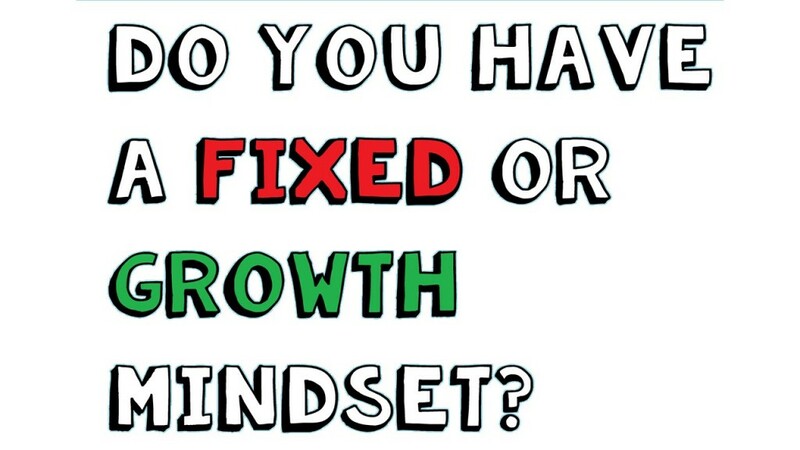 If students have a fixed mindset, they carry a belief that intelligence is basically unchangeable, whereas those with a growth mindset believe that intelligence is not set in stone. Online instructors can sometimes unwittingly foster a mindset by the feedback they provide. Positive comments about intelligence, such as “you are smart” or “you are a math whiz!” actually feed a fixed mindset. Michelle suggests that praise should be focused on the process: working hard, choosing good strategies, etc. Motivation is a high stakes endeavor in online teaching, so Michelle suggested that during the first week, we steer the focus towards the “why” of a course and away from the “what” – why study this topic, why this topic might change you as a student, why this topic is important to your future … rather than what is required, what you have to complete, what the grading policies are. The “what’s” are important and need to be covered … but they need to be covered after the “why’s” have been covered … and better yet, after the students have engaged with the whys. In the final chapter, Michelle provides tips for “putting it together” in ways that lead to a “cognitively optimized” online course. Her goal is to design “active management of motivation” into the course design. She has a series of key questions to guide this process. For each question, she provided the cognitive principles behind the question as well as tools and techniques that address the question. How will the course ensure that students gain the right kind of thinking skills? How will the course ensure that students transfer what they have learned? 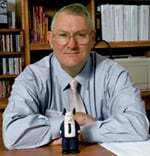 Are there any skills that students need to be able to carry out automatically if they are to succeed in the discipline? How will you keep your students focused as they do the learning activity? How will you minimize extraneous cognitive load while students are doing the activity? How will learning activities maximize spaced study? How will learning activities use emotions to promote learning? How will learning activities promote deep processing? How will you build on existing knowledge as you introduce new concepts? How will assessments take advantage of the testing effect? How will assessments function to motivate, not demotivate students? How will you maximize the amount and quality of online discussion? How will the online peer interactions reinforce thinking skills associated with the course learning objectives? How will you structure the class to discourage procastination? How will you balance grades with other incentives? Michelle closed this chapter with a detailed sample syllabus for her Introduction to Psychology course, with sidebars providing links to specific sections covered earlier in the book. I found this to be a very readable and useful book. There are many aspects that could be implemented immediately into one’s online teaching. For me, it connected some dots between teaching practices that I knew were effective and the learning science behind why these practices work. I highly recommend adding his book to your personal library!